An evening where much that is on the line should get aired out - said - is likely in store as Damon Young, co-founder of VerySmartBrothas.com, and a frequent commentator on race and culture, is here for his first book, What Doesn't Kill You Makes You Blacker: A Memoir in Essays (Harper). That he will be joined by Seattle’s Ijeoma Oluo, herself the bestselling author of So You Want To Talk About Race, should make this even more of a night not to be missed. 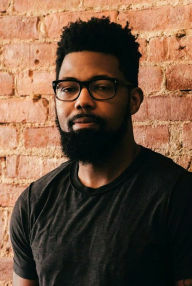 “With this absurdly trenchant, bouncy, tragicomic, expansive yet intimate book, Damon somehow, someway, made the page bend around my head and heart in a manner I honestly didn’t think the essay or memoir forms were capable of bending.” - Kiese Laymon. “Striking in its storytelling and imagery, in its honesty and humor, in its self-reflection and self-criticism, in its Blackness and humanity. Damon Young produced an unobstructed and unsanitized memoir that few people have the courage to write and all people should be encouraged to read.” - Ibram X. Kendi. “Damon Young is one of the most fearless and important young writers today. 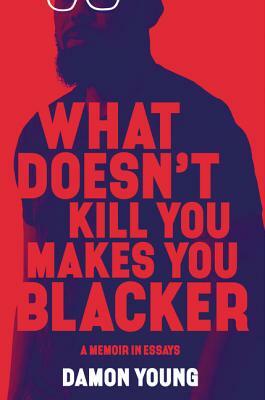 A devastatingly funny critique of racism, What Doesn’t Kill You Makes You Blacker is a humorous and deep dive into the culture and a life lived in that precarious state we call blackness.”- Michael Eric Dyson. Free admission. Co-presented by the NORTHWEST AFRICAN AMERICAN MUSEUM and ELLIOTT BAY BOOK COMPANY. Additional information here.